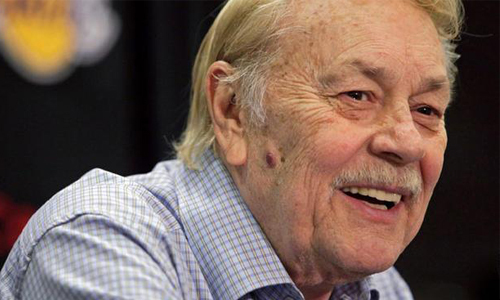 Los Angeles Lakers owners Jerry Buss died early this morning at 80, according to reports. Buss had been hospitalized recently due to an undisclosed problem, but it was revealed recently that he had been battling cancer. Buss purchased the Lakers, LA Kings, and The Los Angeles Forum back in 1979 for a mere $67.5M. Under his ownership, the Lakers won 10 NBA Championships and Buss was also instrumental in turning the Lakers from just a basketball team into an entertainment spectacle. 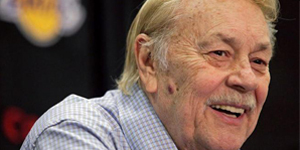 Buss was inducted into the Basketball Hall of Fame back in 2010, and is survived by his six children, including daughter Jeanie Buss who is engaged to former Lakers head coach, Phil Jackson. The Lakers next play at home on Wednesday, February 20 against the Boston Celtics.